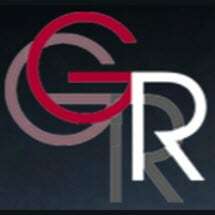 Gesmer & Reynolds, P.C., in Rockford, Illinois, our attorneys are dedicated to helping people with their workers' compensation and Social Security Disability Insurance (SSDI) claims. We know that being hurt in the workplace and facing a temporary or permanent disability is a traumatizing experience for our clients. We also know that they can be overwhelmed by the complexities involved in making a workers' compensation or SSDI claim. That is why we are proud to offer experienced, straightforward, individualized and compassionate legal representation to our clients in the Rockford metropolitan area and throughout Illinois. Our law firm puts our clients' needs first. Not only do we provide free initial consultations, but we also take a hands-on approach to each client's case. We work individually with each client, making sure he or she feels comfortable asking questions, which we promptly answer. We also keep each client fully informed of the progress of his or her case and always give honest, ethical and straightforward advice and counsel regarding options and strategies. James A. Gesmer earned his law degree at the Indiana University School of Law. He has over 25 years of experience in workers' compensation and SSDI claims and has given numerous classes and seminars on these subjects. He is a member of the Illinois State Bar Association, the Winnebago County Bar Association and the Illinois Trial Lawyers Association. Brad Reynolds earned his law degree at the University of Iowa College of Law. He has over 15 years of experience in workers' compensation and over 4 years of SSDI claims and is licensed to practice in both Illinois and Iowa. He is a member of the Illinois State Bar Association, the Iowa State Bar Association and the Winnebago County Bar Association.